Sextette is a 1978 Crown International comedy/musical motion picture starring Mae West. Others in the cast include Timothy Dalton, Dom DeLuise, Tony Curtis, Ringo Starr, Keith Moon, George Hamilton, Alice Cooper and Walter Pidgeon. Directed by Ken Hughes, produced by Daniel Briggs, Robert Sullivan and Harry Weiss for the production company Briggs and Sullivan, the script was by Herbert Baker based on the play Sextet by Mae West. Costumes were designed by Edith Head. 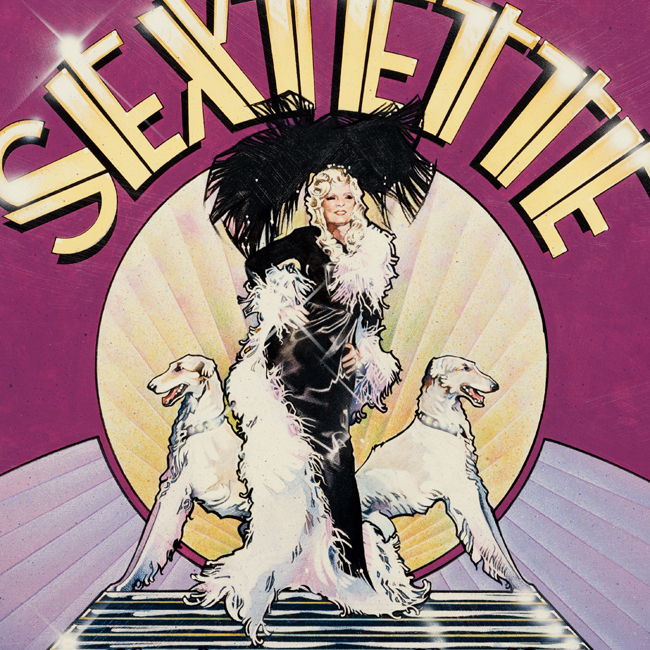 Filmed at Paramount Studios, Sextette was Mae West's final movie. Featured are cameos by Rona Barrett, Regis Philbin and George Raft playing themselves. West made her movie debut in Raft's Night After Night (1932). Signed lower left with gestalt "S"